How does ballet benefit the older learner? How Should Dancewear & Ballet Shoes Fit? Behind every young dancer is a parent or two whose responsibility it is to write cheques for dance classes, buy ballet, tap or jazz shoes and leotards, sew costumes, and play taxi driver to and from lessons. But it’s actually about so much more than that. Parents from all over the UK recently took to the Dancewear Central Facebook page to share their appreciation and love for dance. 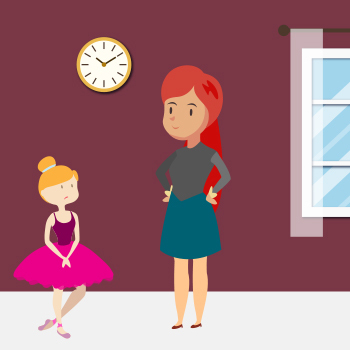 The overwhelming message was that, behind all the hard work, late nights and mountains of ballet shoes, parents gladly do it all so their children receive all the benefits of dance class – and it’s not just about the technical dance skills. “Encouraging children to dance is much more than just the physical element, exercise and getting children away from an indoor environment. Children have a thirst to learn and develop, and dance – from musical theatre to street dance – is a great way of helping them grow and come out of their shell. With this in mind, we spoke to dance experts across the country to discover the biggest benefits of dancing, and why there’s more to classes than meets the eye. Children aren’t the most patient creatures in the world – any parent can attest to that. And the younger they are the less patient they seem to be! Throw an exciting dance class into the mix – where they get to run around and burn off that excess energy – and it suddenly becomes harder to keep them still. Dancers, both professional and amateur, constantly have to wait their turn, whether they’re moving across a stage, freestyling or demonstrating an individual move. Knowing when it’s your turn to move and then to be still and quiet while another has their go is a skill we use long into adulthood. The sooner children learn when to take their turn, the sooner they’ll learn to interact better with others. Conflicts will be reduced and their social skills will blossom. As children learn to dance, hone their technique and take a performance from start to finish, their confidence grows. Add that to gaining a better sense of their bodies and feeling more comfortable in their own skin, and their self-esteem will skyrocket. They’ll learn how to express themselves, which is really what dancing is all about, and it’s what separates it from other physical activities. It gives kids a physical outlet for their emotions, a place to be themselves, and they’re encouraged to be proud of that. “I myself have seen students who were once shy and withdrawn grow in confidence – in later years they have blossomed into beautiful dancers, happy and willing to perform in front of large audiences. Kids are curious creatures, and they love to learn about the world around them. Put them in a class where their body does wonderful things like moving to music, and they’ll be eager to learn more about how they actually do it. And this can stand them in good stead for later life. “When you know how a body jumps, you can jump higher, farther, quicker. Introducing the concepts of anatomy when the children are young will allow them to build upon this foundation in the future. They will learn that there is more to their bodies than what they see in the mirror. 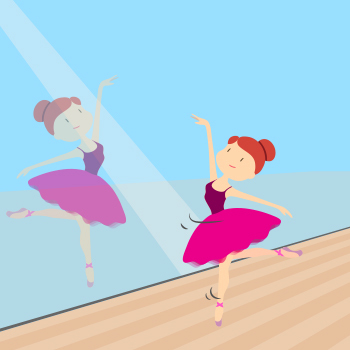 Dancing isn’t all about the individual – even in more solo disciplines such as ballet or tap. As part of their class, children will be asked to communicate and cooperate with their fellow students, both in pairs and in groups. For shy children, in particular, dancing can be a really big help and encourage them to come out of their shell as they talk to others and make new friends. Improved social skills are just one branch of dance, and dancing often requires children to work together. Making friends comes easy to children – they seem to be able to talk to anyone and at any time! So place them in a room full of similarly aged children where their only job is to move to music, and they’re bound to interact and before you know it they’ve formed a bond. Children weren’t made to sit still, but watching television or playing video games can turn from an occasional treat into a daily habit. Dancing gets them out of the house on a regular basis, and while you may not be looking for your kids to lose weight, it helps to keep their heart, and brain, healthy. Giving children the confidence and encouragement to move while they’re young will give them a taste for physical activity that they carry with them into later life. Whether they become a professional dancer or not, they might continue with amateur classes as an adult or migrate to a completely different sport –– it doesn’t matter as long as they move.